Since I've got back to Tokyo, I've been trying to keep myself busy and keep my mind off what's going on. I've been catching up with friends here and naturally, most of the conversations I've had with them have been about the earthquake, tsnami and nuclear threat. In most cases, people who did leave, didn't want to go, but felt they should due to family and friends at home who were worried about them. The friends who stayed, both expat and Japanese have been amazingly calm and philosophical about it all. Life carries on pretty much as normal. A friend here recently sent me this blog written by David Bull, an English-born Canadian who has lived in Japan for a long time. He writes a well balanced view of what is going on here in Japan and I wanted to share it. You can read it here. 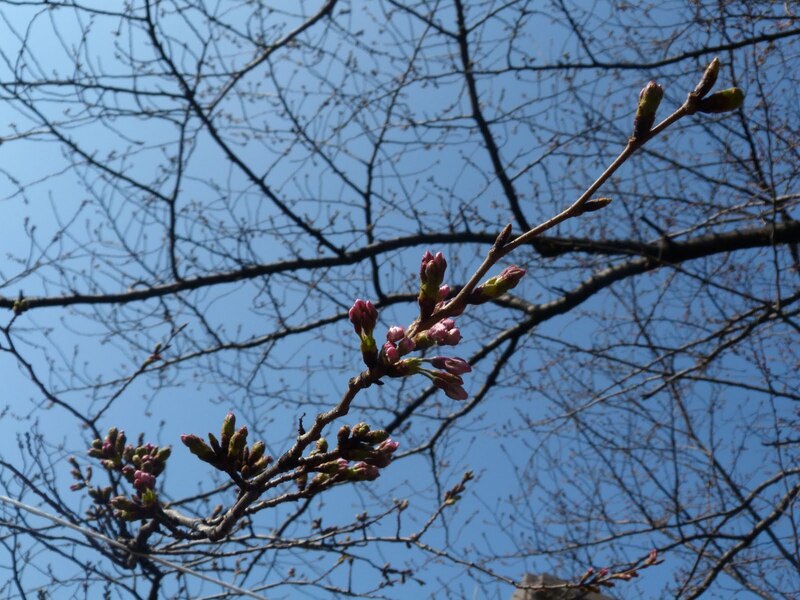 Of course the cherry blossom season is just about to hit us in full force - I was informed by a Japanese friend today that the height of the season will be 9th-13th April. I love the specifics of it! There are usually hundreds of blossom parties happening all over the city in the major parks, but this year, the government has decided to stop those with respect to the recent events. 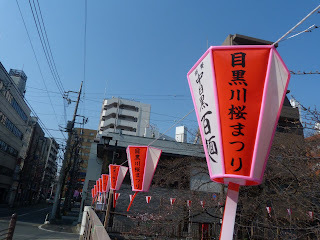 The river near where we live is starting to bloom (there are cherry blossom trees that run the entire length of it and are pretty spectacular in full bloom) and the lanterns are already in place, festooning each side of the river. 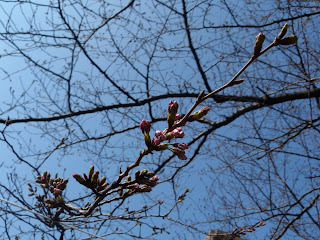 We are coveting one particular branch and it is just about ready to burst - see below.